EM: EXCITE MAGAZINE: Alexander McQueen 1969-2010! 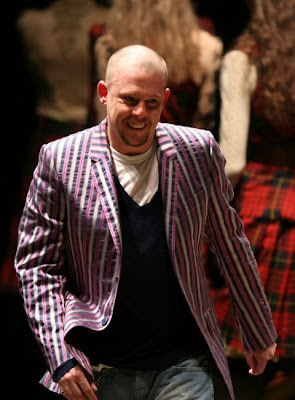 Fashion designer Alexander McQueen was found dead at his home this morning. According to reports, it looks as if it was a suicide. McQueen is behind the unique fashion of Lady GaGa, among many other celebs. Sad news! Will You Buy Keri Hilson's New Album In May? Get the This Week's Top 10 Box Office Movies widget and many other great free widgets at Widgetbox!